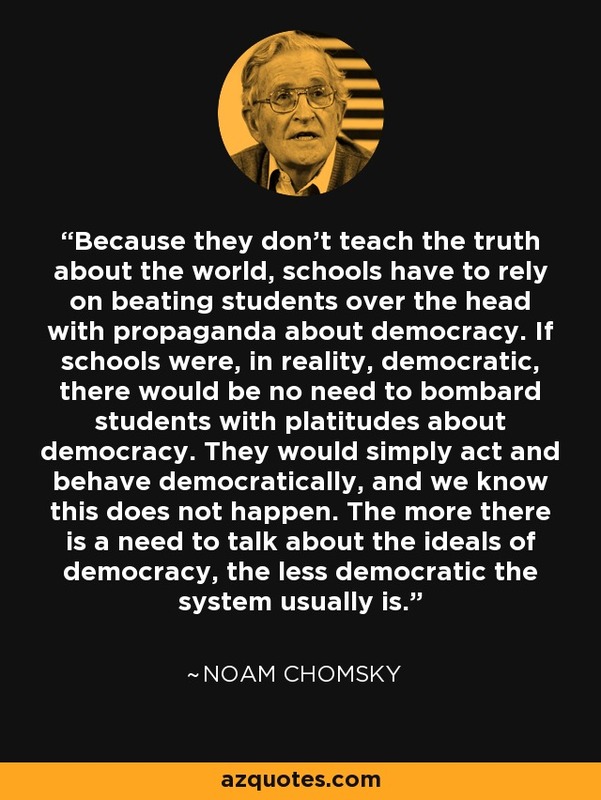 Because they don't teach the truth about the world, schools have to rely on beating students over the head with propaganda about democracy. If schools were, in reality, democratic, there would be no need to bombard students with platitudes about democracy. They would simply act and behave democratically, and we know this does not happen. The more there is a need to talk about the ideals of democracy, the less democratic the system usually is.